Chanko Dining FUJIYAMA has been serving healthy Chankonabe Hot Pots to our customer since 2007. We offer variety of Chankonabe selections and other dishes, including Nomi-hodai Chankonabe dinner course for 4,000 yen (All-you-can-drink for 2.5 hours). We are keeping our best to bring the freshest ingredient every day. During the dinner time, we also accept group up to 25 people (requires advanced reservation), which is perfect for birthday party, Christmas party, Bonen-kai, Shinnen-kai, company's party, or school's alumni party. We also carry a variety of drinks from non-alcohol drinks, beer, cocktails to various hard liquors. All of our staffs are looking forward to serving you and enjoying the experience of Chanko-nabe hot pot. Effective from Aug 9th, 2008, we discontinued lunch service. Now, we open during dinner time only. Chanko-nabe Hot Pot started when sumo wrestlers and Japanese professional wrestlers started eating the mixed hot pot as part of a weight gain diet. Hot pot receipe is relatively simple: boil water and add vegetables and meat. Wrestler started making the hot pot as their main dish to gain necessary nutrition. Chanko-nabe usually contains a dashi or chicken broth soup base with cooking sake or mirin. The bulk of Chankonabe is made up of usually chicken, pork, fish (fried and made into balls), tofu, and/or beef and vegetables (daikon, bok choy, etc). 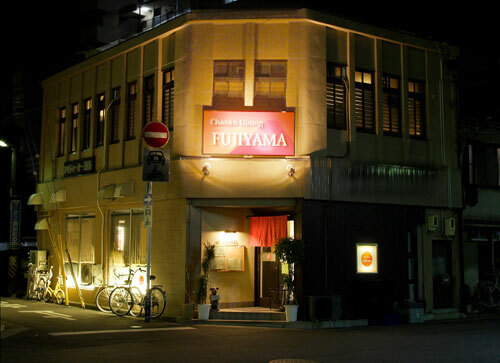 What do we serve at Chanko Dining FUJIYAMA? At Chanko Dining FUJIYAMA, we have researched and created our own Chanko hot pot menu. We are always trying to find the best flavor of Chanko-nabe every single day with different ingredient. We have four basic types of soup: Salt, Soy Sauce, Miso, and Spicy. All soup are based on chicken and pork broth. And then, we will add vegetable and other ingredient which changes every day. 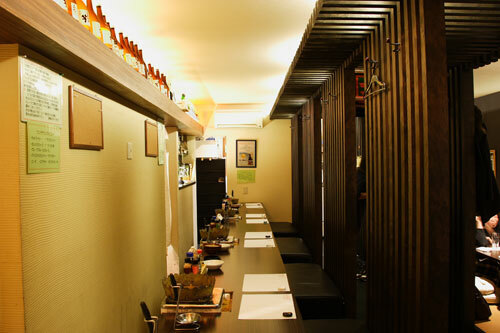 We also serve other dishes, such as salad, appetizers, fried foods, yakitori and desert with variety of drinks. We would like our customer to try different kinds of ingredient on throughout a year. Currently, we are only accepting cash. 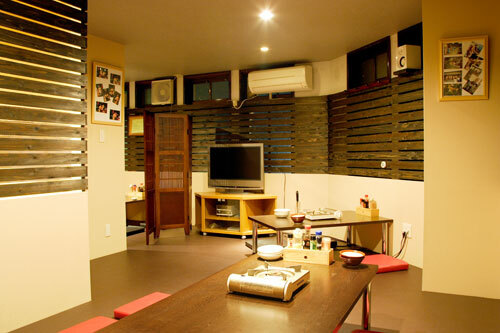 Owned and operated by Office Yamamoto Co. Ltd.
We are located 5 min walk from Kintetsu Yokkaichi Station. It is between Route 1 and Yokkaichi City Hall. It is behind of Tokyo-Mitsubishi UFJ Bank, and Chuo-Mitsui-Shintaku Bank from Route 1. From Yokkaichi City Hall, it is approx. two blocks north, and one block west from the City Hall Building. Starting on Oct 1, 2008, we now have 7 designated parking spots availavle on the East side of our restaurant. Since there are only 7 parking spots available, we still continue to provide free validation ticket for the customer who spend more than 2,000 yen per person. But please try to use our parking spot first. * Please try to use our parking spot first. 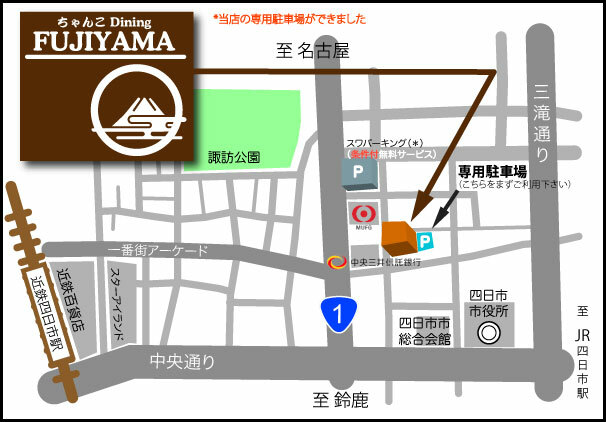 For the customers who spend more than 2,000 yen per person, we provide 2 hour parking validation for Suwa Central Parking. Please make sure to bring your parking ticket. On the first floor, we have 4 tables (each accomodate 5 guests), and 2x5 counter seats, which are perfect for single guests or couples. If you are going to have all-you-can drink menu, at the time of reservation (or by the day before), we would like to ask you what kind of Chanko-nabe soup you would like to have, so that we can provide the dish with a little time lag. SATURDAY IS RESERVATION ONLY. AND WE ONLY SERVE ALL-YOU-CAN-DRINK CHANKO-NABE COURSE. On the weekend, or busy season in winter, if your party is more than 2 guests, we recommend that you make a reservation.